The Nelson Discovery Laboratory (NDL) offers state of the art testing for evaluation of building envelopes and components, including the analysis of distress to commercial grade roofing systems and materials. Led by specialized and dedicated Nelson engineers, NDL plays a pivotal role in the investigation of defects and distress for a wide variety of building components. Uniquely developed in conjunction with an evidence storage facility and an EF-5 rated tornado shelter, NDL is further utilized as a teaching facility for both clients and employees. The facility is located a few miles from Nelson’s Plano, Texas headquarters. The laboratory offers building envelope water infiltration testing, aerial drone reconnaissance and photography, ground-penetrating radar, infrared imaging capabilities, water column testing, and roof sample delamination and desaturation. Water column testing uses a static pressure head of water to determine if a membrane sample is water-tight. 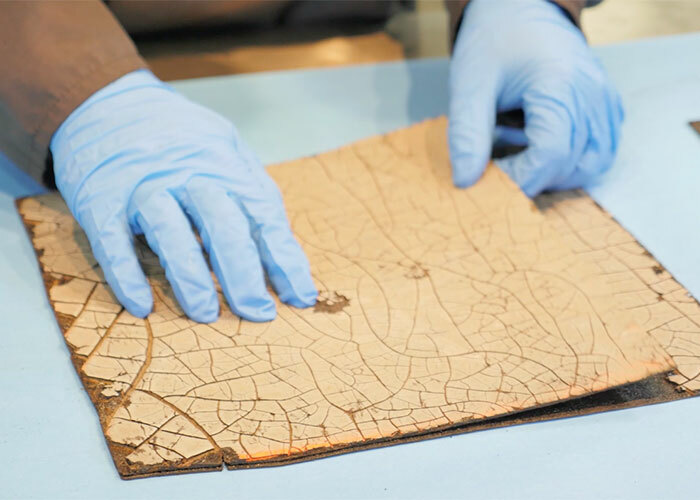 Delamination testing allows Nelson to look inside multi-ply bituminous roof membrane samples, in between the felt layers, to identify the presence or absence of impact distress to the interply bitumen. For additional observation of the felt reinforcement of bituminous membranes, desaturation testing can be performed. Material determination testing can also be performed to identify roof material types (such as TPO vs. PVC single-ply membranes). Nelson utilizes water testing to evaluate the water resistant performance of a building’s exterior. 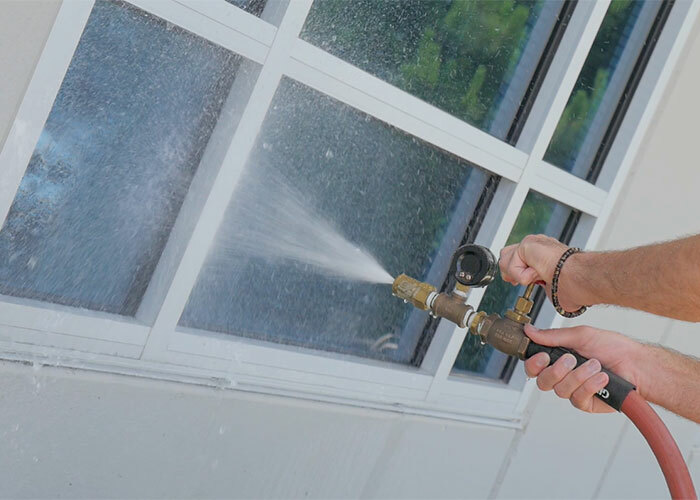 These water tests assist Nelson’s experts in determining locations of water intrusion at window and door assemblies, exterior wall assemblies, and deficiencies within the building envelope. Water testing can be performed in the field to evaluate as–built conditions or in laboratory settings to evaluate mock-ups of building envelope systems. Water flood testing can also be performed to determine the water-tightness of waterproofing installations at balcony and roof assemblies. Nelson’s licensed drone pilots utilize high-resolution imagery to aid in forensic evaluations of situations with challenging access. 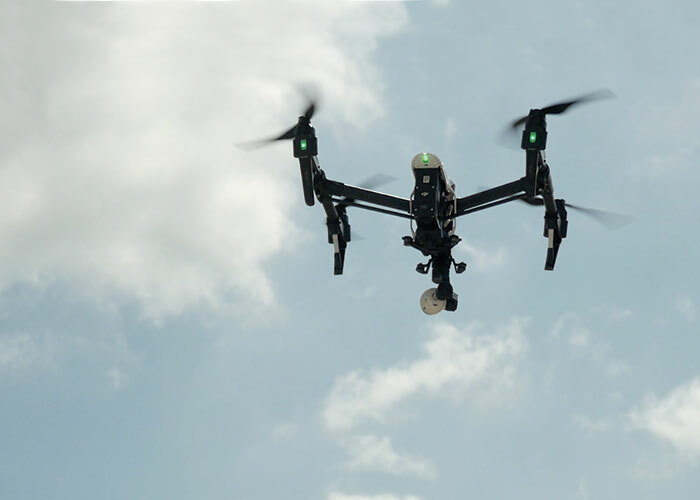 Drone imagery assists in the evaluation of high-rise buildings, large and complex sites, roofs which are too steep to walk, and structural collapses. 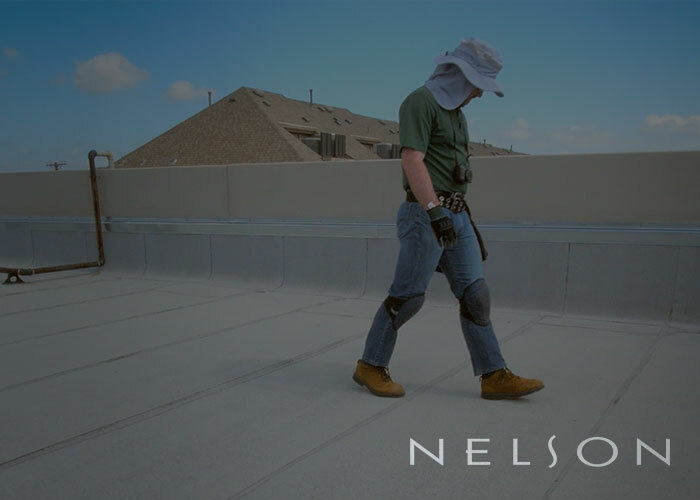 Nelson utilizes ground penetrating radar (GPR) for non-destructive testing of concrete building components such as slabs, walls, columns, and beams. 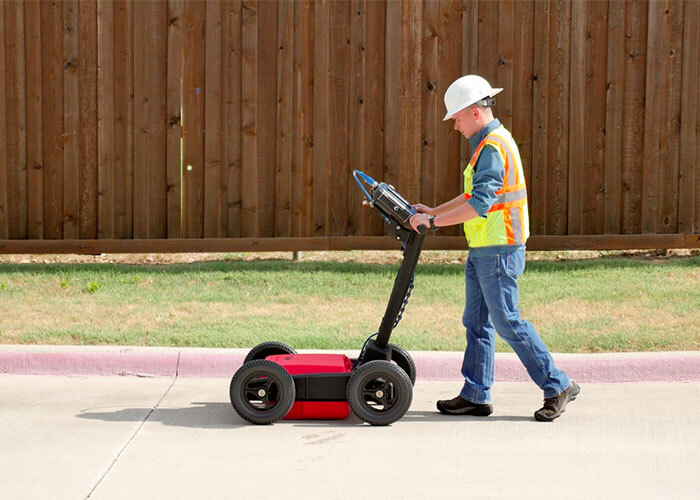 GPR is also used to locate the extent of potential voids below slabs-on-grade or behind basement/retaining walls. GPR is a rapid and non-invasive testing method to assess conditions within, below, and behind concrete structures without the need for extensive, costly, and time-consuming destructive testing; however, limited destructive testing at select locations is often used to verify GPR results. GPR is an excellent diagnostic option for sensitive areas (e.g., medical facilities, clean rooms, laboratories, data centers, airports, etc.) where noise and particulates typically associated with destructive testing may not be feasible. 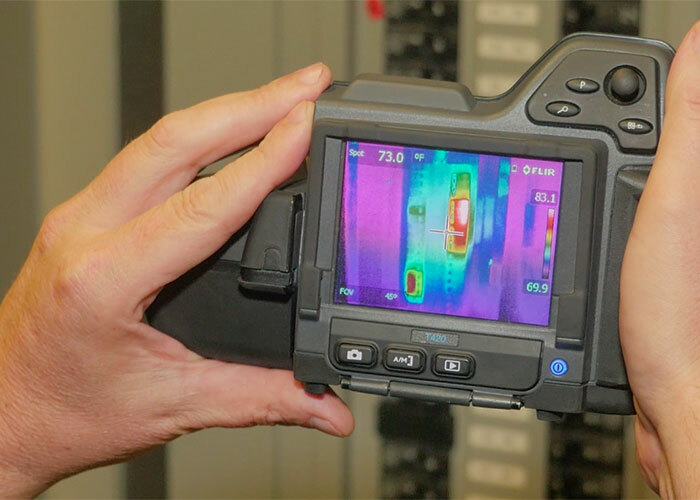 Nelson’s certified thermographers can provide infrared imaging (IR) expertise on a wide variety of projects. We utilize thermography to evaluate thermal properties of building components such as electrical power distribution systems, roofing, and exterior wall systems. Nelson analyzes these thermal properties to identify thermal anomalies that can indicate areas of heat gain or loss due to voids in the buildings insulation, or hot spots indicating improper electrical connections and potential equipment failures, or even determining areas of interest for further testing to confirm the presence or absence of moisture within roofing and exterior wall systems. to resolve questions of fact in a dispute or for scientific analysis.